Working while going to school has a variety of benefits and allows students to continue the learning process outside of the classroom. Many of our students, each with different interests and goals, have been able to secure a position which closely aligns with their academic program. We are here to help students, parents and employers navigate the student employment process and connect our students with both on and off campus part-time employment opportunities. Federal Work-Study is a need-based federally subsidized program that provides part-time employment to undergraduate, graduate and law students on or near campus. Due to limited funding, you must submit your financial aid application materials by the priority filing deadline to be considered for a work-study award. Students who are awarded Federal Work-Study will be notified in their financial aid award letter. The amount indicated on your award letter reflects the maximum you may earn for that particular semester. Once you have earned your allotted award, you must stop working immediately. If you have been awarded Federal Work-Study, you are not required to work. If you are interested in pursuing employment opportunities, students are responsible for conducting the job search. As available positions are limited, we cannot guarantee that each student will secure a position. Unlike other forms of financial aid, Federal Work-Study is not applied as a credit to student accounts. Students are paid on a weekly basis for hours worked during the prior week. Students who have not received Federal Work Study funding still have the opportunity to seek employment opportunities both on and off campus. For positions on-campus, students must apply specifically for non-work study positions through the online job search system. Any student that applies for a Federal Work-Study position that was not awarded Federal Work Study will not be considered for that position. Your pay rate is based on the job you are performing. Since your Federal Work-Study award is of a finite amount, your pay rate determines the number of hours that you are able to work. Students cannot work more than twenty hours per week during academic periods. In order to determine the number of hours you may work for the semester, divide your Federal Work-Study amount by your hourly pay rate, and then by the number of weeks in the semester or the number of weeks during the semester that you wish to work. The Online Job Search can be found on myNortheastern by choosing “Services & Links”, then selecting “Student Employment” under “Student Financial Services.” Search for part-time on and off campus jobs using any number of criteria to find jobs; receive automated email when preferred jobs become available; review history of job positions and hiring to get a better understanding of the university’s student employment needs. Apply online: Enter information and instantly submit it to prospective employers. Time sheets: complete and submit weekly time sheets online. Before you can be hired for any position on campus, you must make sure you have a Direct Deposit and an I-9 form on file with the Office of Student Employment, Graduate Assistantships & Fellowships. All on-campus student employees and all off-campus work-study student employees are required to use Direct Deposit. You must complete and submit all documents in person at the Office of Student Employment, Graduate Assistantships & Fellowships, 271 Huntington Avenue. If you are a semi-monthly paid research assistant or teaching fellow, you will receive your pay on the 15th and the last day of the month, provided the department you are working for has submitted your information before the payroll deadline. If you are an hourly paid employee, you should submit your online time sheet to your supervisor each week that you work. The deadline for timesheets to be submitted to your supervisor is Monday at 12:00 p.m. each week. Your supervisor is responsible for reviewing, approving and forwarding your timesheets by Tuesday at 12:00 p.m. Payments are issued weekly on Fridays. 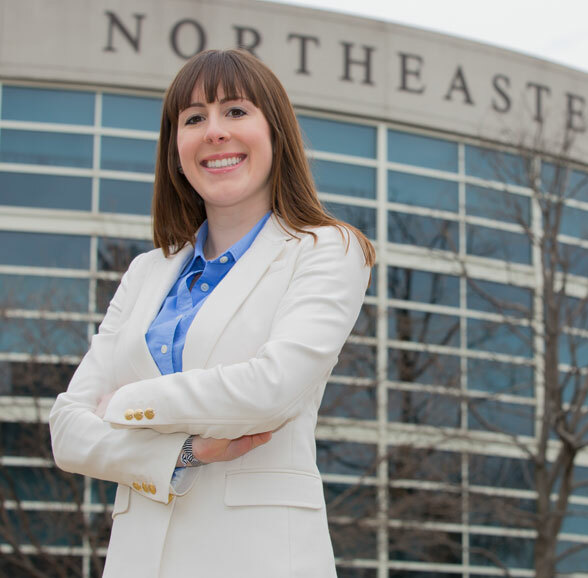 Northeastern University is committed to providing equal opportunity for all students in those matters involving admission, registration, and official relationships with students. In addition to practicing policies of nondiscrimination, the university takes affirmative action in the recruitment of students. The Office of Institutional Diversity and Inclusion is located at 106 West Village A. They can be reached at 617.373.2133.